You thought Cloud Atlas was ambitious? 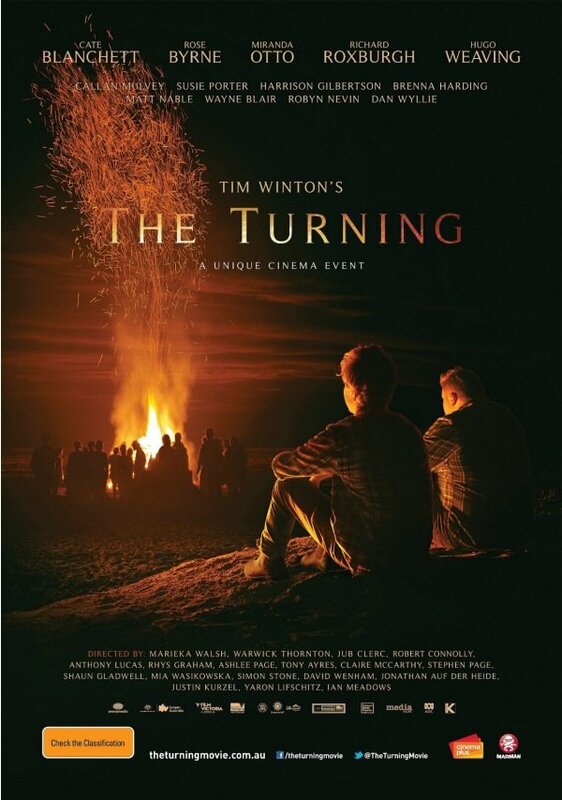 Feast your eyes on the first full trailer for The Turning, a big-screen adaptation of Australian author Tim Winton’s anthology that employs more than 17 directors and virtually every name-brand Aussie actor for a sprawling project that hopes to find its way to theaters later this year. The novel, released in 2005, has multiple interweaving plotlines that generally center around a central protagonist named Vic Lang. Again, it reminds me very much of Cloud Atlas, which attempted to weave together – thematically, if not always narratively – storylines that intersected at unexpected points. The Turning was adapted for the stage at the 2008 Perth International Arts Festival. Something tells me it will be a little easier to connect the dots using film, which allows storytellers to cheat in ways live theater doesn’t permit. Note that Stoker actress Mia Wasikowska makes her directorial debut with this movie. And the cast list is equally impressive. Rose Byrne, Cate Blanchett, Hugo Weaving and Miranda Otto lead a massive ensemble in an effort to recollect the stories in Winton’s book. There were rumors, a while back, that Blanchett also would be helming one of the shorts. That doesn't seem to be the case, though I wonder if she contributed behind the scenes to the segment in which she stars? The film already has been screened in Australia (at the Melbourne International Film Festival), and will open Down Under on Sept. 26. Twitch posted one of the first reviews, saying "this ambitiously sky-high work deserves respect and recognition, fusing literature and film fiction effortlessly amidst a flurry of endearing talent." The film’s still seeking distribution in the States. The official poster is below. We’re more than intrigued by the concept, and can’t wait to see the execution. What are your thoughts on The Turning? Have you read it? Do you think it can be adapted? Will it work as a film? Let us know.